IT BEGAN INNOCENTLY ENOUGH. Dave Small and co-conspirators reasoned that since the Apple Macintosh and ST computers are based on the same microprocessor, transplanting the Mac boot ROM chips, with supporting software, into the ST should let it run Mac software. From that central idea--and months of frenzied programmingÑ-came the Magic Sac. Even before going on sale, the Magic Sac had become legendary in the Atari community. The idea of running Macintosh software on an ST brought cries of heresy from Apple users--and smug grins from Atari users. The current version, Magic Sac Plus, includes a clock/calendar chip and improved software. Now the legend continues with the arrival of Translator One, a hardware device that enables your ST disk drive directly read and write Mac disks. There's also the Magic Printer Driver, which makes it possible for your Mac software to use an Epson-compatible printer instead of the default Apple ImageWriter printer. All three products can be bought separately, or as a package deal--the Magic Sac Professional. Why would a self-respecting ST owner transform his computer into a Mac? Two good reasons are compatibility and an outstanding software selection. You can get your work done at home by using your ST to mimic the Macs at the office, or share files with Mac-using friends and co-workers. For me, the best thing about Magic Sac Professional is that I can use my ST to manage communications between Mac and IBM computers. At work I use a Mac while my secretary and most co-workers use IBM computers. Needless to say, sharing data and writing joint reports was a problem--until now. Nowadays, I bring my Mac disks home and use my Magic Mac conversion utilities to go from Mac to ST and back. As a bonus, the ST 3.5-inch disk format just happens to be identical to that used by IBM. The data files go back to my co-workers in a form they can use directly, or I can use PC-Ditto and run the necessary IBM software myself--three goals with one shot for the ST! I get two other benefits from this setup. First, I have modified my ST monochrome monitor to use the full screen size (using simple instructions found on most ST bulletin boards). The ST monitor is much easier on my eyes than the smaller Mac screen, and some Mac programs automatically use the larger window size to display more information. The other advantage is that taking work home lets me leave the office earlier and enjoy more sunny afternoons. The Magic Sac Professional is an incredible achievement that can benefit anyone who works with a Macintosh system or needs application programs that are unavailable for the ST. In my hands it has performed flawlessly for four months of regular use. Data Pacific has an excellent reputation for prompt customer support and is active on major national online services. Combined with PC-Ditto, Magic Sac gives the ST the equivalent of three computers in one--and the ability to manipulate files among them. That's real magic in my book. The heart of the Magic Sac system, the Magic Sac Plus, consists of a plastic cartridge housing and circuit board for the Mac boot ROM chips and onboard clock/calendar chip, a Mac/ST connection cable and ST program disk. Due to an agreement with Apple, Data Pacific cannot sell the cartridge with the ROM chips installed, so you must purchase and install them yourself. However, most Magic Sac Plus dealers carry the ROMs, and the installation requires no soldering. The cartridge serves as a real-time clock and can stay plugged in without affecting normal ST programs. The Magic Sac Plus alone cannot run Mac software from the original disks, due to differences in encoding protocols between the Mac and ST disk drives. You must transfer Mac software to the ST, either by directly connecting the computers and using a supplied conversion program or by downloading from a BBS. In either case, the Magic Sac Plus uses a special disk format of its own, the Magic format, to store the Mac programs. Magic-formatted disks can be single-sided or double-sided, but can't be read by TOS. To get your "Magic Mac" running, you must provide a Magic boot disk containing the two Macintosh operating system files--Finder and System. These are the equivalent of TOS for the ST and can be found on many Mac program disks, purchased from Apple vendors or downloaded from a Mac BBS. There have been many versions of these two files--some of which are plagued with bugs. Data Pacific recommends Finder 5.4 and System 3.2. Magic Sac needs at least a 520ST and a single-sided disk drive. Either a monochrome monitor or a color monitor will work. Hard drives are also supported and you can set up a hard disk partition for Magic format while leaving the others in TOS format. The last step before actually using the system is to specify configuration parameters for memory size, use of hard drive and printer port. Using a smaller memory size (such as 512K with a 1040ST) automatically sets up a memory cache, improving program speed by cutting down on disk access. These parameters can be saved and invoked automatically in the future. Limitations of the Magic system are that sound, MIDI and Appletalk local networking are not supported. This is because of major differences between the Mac and ST sound chips, and also because the Mac requires additional hardware for MIDI and Appletalk. Although laser printers aren't supported directly, you can print a Postscript file to disk and then use a roundabout means of sending it to the printer. Be Warned: you must follow the directions in the manual for removing or changing disks. Otherwise, you could damage files. This is due to the Mac operating system, not the ST. In addition to the system software, the Magic Sac Plus disk also contains programs to initialize disks in Mac, ST or IBM formats; transfer file formats between Mac/Magic and TOS; format a hard disk partition for Mac/Magic use; and read and write to the real-time clock. The most recent release, version 5.9, includes support for Supra and Atari's new hard drives for the Mega computers. Clearly, the feature most sought-after by Magic Sac Plus users was ability to read and write to Mac disks on ST drives--in order to run copy-protected software as well as making it much easier to transfer data between the ST and Mac. The problem was that the basic differences between the encoding schemes of Mac and ST drives could not be solved via software alone. 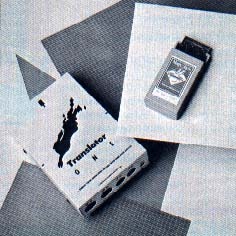 The answer was to create a new ST disk drive controller capable of dealing directly with Mac formats--the Translator One. It connects to the ST via the MIDI and floppy drive ports. During normal ST use or when using Magicformatted disks it does nothing. However, it turns on when a Mac-formatted disk is inserted and takes over the drive controller functions. When the Mac disk is ejected, the Translator One goes back to sleep. It fits conveniently atop an Atari external drive and has a simple on/off switch. The only problem comes up if you need Apple's HFS disk management system, which expedites file-handling with double-sided Mac disks and hard drives. Apple's original file management system (MFS) was fine for single-sided disks and hard drives with under 100 files. The Translator One manual provides an extensive explanation of the extra steps for using HFS. You'll need the Apple file, Hard Disk 20, ver. 1.1 from a BBS or Apple vendor. Save the above file in the system folder of a Magic startup disk using Finder 5.4 and System 3.2. Bring up the Magic system as usual. Now you can read double-sided Mac disks with the Translator One. The HFS system is downwardly-compatible with MFS, so all of your old Magic-formatted disks will work. The manual also gives instructions for formatting a hard drive partition to use HFS. While the Translator One is an outstanding product, it has problems with some copy protection schemes, particularly those based on either illegal calls to special Mac chips which aren't in your ST, or Mac-specific timing cycles (the Magic Sac Plus runs faster than a Mac). Fortunately, these mostly apply just to games. The trend is towards removing copy protection on application programs. The final piece of the package, Epstart (by SoftStyle), allows Mac software to use Epson-compatible printers instead of Apple ImageWriters, long the only dot-matrix available for Mac users. Epstart is now released in Magic disk format through Data Pacific. Simply run the program and it will make the printer resource substitution on your application program disks. The printer driver disk must be used as the initial start-up disk for the Epstart program to run correctly and it won't work with HFS-based Magic disks. Epson models supported include: FX-80/100, MX80/100, RX-80/100, LX-80 and LQ-1500 as well as the color JX-80. A desk accessory is also installed which allows for print pitch selection and color (for JX-80). On my Star NX-10, using high density pitch, I found the print quality to be better than an ImageWriter's. Both normal and sideways printing are supported by many Mac programs. Speaking bluntly, there are a number of very good Mac application programs that the ST does not (yet) cover. These typically have more features and are easier to use than their ST counterparts (and are priced accordingly! ), primarily because of more field-testing with a larger user base. The list of Magic-compatible software is growing constantly. A major reason is that software developers are hurriedly revising their programs to become compatible with the new Mac II. This means that many "illegal" hooks into the operating system and hardware are being cleaned up--which in turn improves compatibility with Magic Sac Professional. And Data Pacific has done yeoman service by including error trapping routines to avoid problems with certain Mac programs. The best sources for compatibility questions are the Data Pacific message bases on the GEnie and CompuServe online services, and a monthly Magic column in Current Notes, the professional-quality magazine of the Washington Area Atari Users Groups. Excel (Microsoft Corp.) is simply the best spreadsheet for any microcomputer. It features integrated calculation, graphic and database operations with sophisticated macros, an extremely intuitive user interface; it reads and writes Lotus 1-2-3 files and runs at blinding speed. Word (ver. 3.01. Microsoft) is the top-of-the-line word processor for combining text, graphics and multiple fonts. It's a model of what could someday be available on the ST.
OverVUE (ProVUE Development Corp.) is a relational database with an outstanding graphical interface. It fills the void for the ST between entry level programs, such as dB Master One, and high-end powerhouses like dBMAN. Statworks and Cricket Graph (Cricket Software) are for dedicated statistical and graphical data analysis. The nearest approximation would be B/Graph (Batteries Included) for Atari 8-bit computers. We've yet to see a similar product for the ST.
Micro-Planner+ (Micro Planning Software, Ltd.) is a graphics-oriented project management tool. It's very easy to use and provides a wide range of planning and resource management functions. Only the Logistix spreadsheet (Progressive Peripherals and Software) offers some of these features for the ST.